What's really the causes of hair loss in women and men? Hair loss and baldness, or thinning hair also known as Alopecia as doctors call it, happens in men, women, and children. It is a common occurrence and not restricted to a particular race or culture; rather it’s more of a universal problem. Hair loss (Alopecia) stands for the loss of hair due to an increase in the rate of hair falling out, and it’s not being replaced by new hair growth. Complete or partial hair loss is called baldness, and it is of various types, such as toxic baldness, male pattern baldness, alopecia areata, female pattern baldness, and various other kinds. In this post, I will share with you everything you need to know about hair loss, baldness and thinning both in men and women, as well as some hair loss remedies that works. After going through the post, you be able to understand what these things are all about and also the various ways through which you can cure them. Without wasting your time any further, let’s get to it at once. Many people suffer from hair loss, and It is estimated that 35 million men in the United States are affected by male pattern baldness or androgenetic alopecia. It is the most common form of hair loss as it has an impact on a large percentage of men by 50 years of age. It typically begins around the late twenties or mid-thirties and most men have some level of hair loss by their late thirties. Symptoms of male pattern baldness develop gradually. It involves the appearance of a bald spot on the crown of the scalp accompanied by thinning at the temples to the left and right of the forehead. Over time, the hairline recedes to form a characteristic "M" shape, often progressing to partial or complete baldness. However, this is not just peculiar to men. 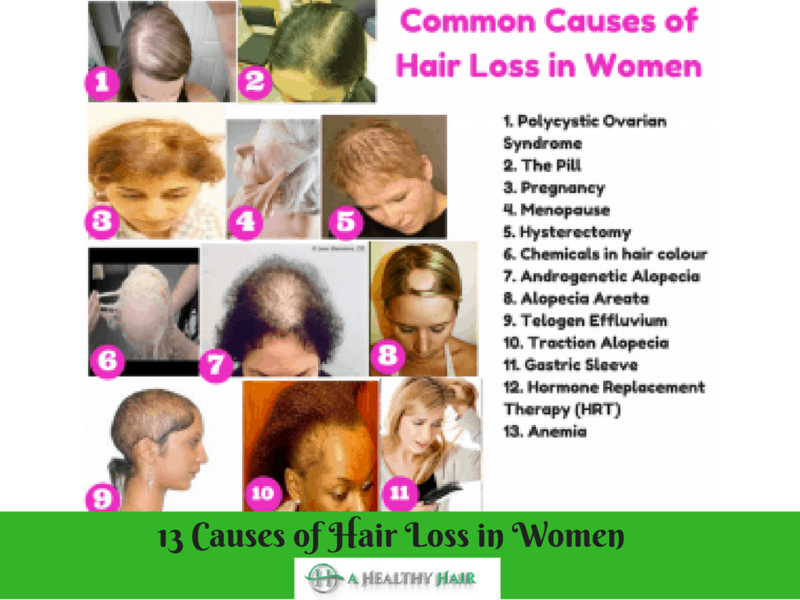 Women are also susceptible to the condition as about the same number of women as men suffer the ill effects of male pattern baldness, but the pattern of hair loss in women differs from male-pattern baldness. In women, the hairline does not retrocede, and the hair becomes thinner all over the head. Androgenetic alopecia in women seldom leads to total baldness but a woman's hair is seen as a fashion statement, and if this is thinning or falling out then it can be devastating, especially today where image seems to run most women's live. In fact, studies pointed out that since 2004, the number of female surgical hair restoration patients has increased by 24 percent. Thinning hair in women happens in roughly half of ladies by the age of 50 years of age and even later for some other persons. But it appears that female hair loss is showing more in young women today than ever before. Today, thinning hair in men and women is not a simple thing to manage as it can truly put an emotional burden on your life and stress you to the point of baldness if you let it. The psychological effect of hair loss results in a measurably damaging change in self-esteem and connects with images of decreased worth. It is no wonder that both men and women find hair loss a stressful experience. The best way to reversing a problem like this is to simply learn as much as you can about what is happening on your scalp. By doing this, you will be able to proffer an adequate solution to your problem because you will learn what it will take to attack the cause. The first thing you need to understand is how hair loss and balding occurs. Various causes of hair loss exist and several factors may contribute to excessive hair loss. Let us explore some of them here in this article. If you know the causes of hair loss, your chances of correcting this problem are excellent. Most people rarely take the time to find out why their hair is becoming thin or falling out. This is primarily the reason they fail at finding the right treatment. Instead, they panic and start buying products to put on their scalp. Interestingly, this can compound the situation. If you use a product that contains ingredients that are more harmful to your hair than helpful, it can make losing your hair more dramatic. The many causes of hair loss are amongst the various factors that make it difficult for those attempting to find a cure. It appears as with each passing day there are many new reasons for hair loss some of which are astonishing. (toxic alopecia, androgenetic alopecia) and two or three minor classifications immune system issues (alopecia areata) and damaged skin (skin cancer, burns) or infected skin disorders (fungal or bacterial). A majority of the causes falls under toxic alopecia, which is a common feature in both men and women. Being on the right medications for these conditions can ultimately improve or stop hair loss. While both men and women experience hair loss, the symptoms and causes are different between sexes. If you’ve always been browsing for a solution for your hair loss or baldness, there’s a good chance you’ve encountered the hereditary baldness or genetic changes in your search. It’s one of the biggest causes of hair loss in men. However, Androgenetic Alopecia is the term used to portray genetic changes in either gender for pattern baldness or thinning hair which runs in families. Furthermore, one of the things that can cause male pattern baldness in men and women is baldness gene. Unfortunately, little can be done about it as it is a genetic condition. Although there is a prevailing tendency for male pattern baldness, female members of a family can be transmitters also. Androgenic baldness is an internal hormone driven condition with a genetic backdrop that is progressive and extremely hard to reverse. This condition is caused by the excess testosterone in the circulatory system being converted to dihydrotestosterone (DHT) also known as androgen. It can also cause some people to die while rendering others incapable of producing or maintaining healthy hair growth. So the way to stopping hair loss in its tracks and even encouraging new hair growth is to halt the production of dihydrotestosterone (DHT). Many men ask me, is there any cure for baldness? In fact, more men are absolutely resolute that there cannot be. Since going bald is a natural event, they think that reversal of baldness, somehow "going against nature" is, therefore, impossible. The fundamental truth is that there are cures for baldness, not just one or two or three but several. However, they can all be explained along similar, proven, scientific principles. The basis for all cures, whether drugs or natural remedies, is to allow the hair follicles to once more access the full nutrition that they need. Some of these cures can disperse DHT that has collected in the scalp region, but most of them work by improving the blood flow to the follicles. This is why the talk of "stimulation" really does have a scientific basis. Now, If you are beginning to show signs of balding and are looking for an inexpensive way to cure this problem but are not sure on what to do, the first thing you have to do is to stay away from any chemically filled products. Your best choice will be to try a natural method that does work as a cure for baldness and is very effective. Initially used by men for prostate health, saw palmetto is one of the few natural ingredients to get FDA's approval as one of the best treatment for thinning hair. It works in a similar way as the prescription medication finasteride (Propecia) and is not recommended for women. Nettle is a fascinating herb that is safe for use by both men and women but doesn't seem to get many accolades. Nettle root is rich in lipids, vitamins A and C, and several other essential minerals. 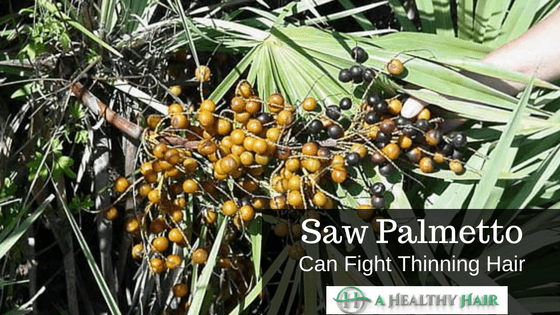 It also works in a similar fashion as saw palmetto and finasteride. Personally, directly massaging my scalp to enhance circulation was not helpful at all. It was only when I included a blend of almond and peppermint oil that i started to see some results. This is one of the effective natural cures for baldness which could be worth your time and money, just try it. Aloe vera is very famous for its healing properties. It has been used by many different cultures for balding, including but not limited to Native Americans and Indian Ayurvedic medicine. It works by cleansing congested or damaged scalp pores and balancing pH levels. 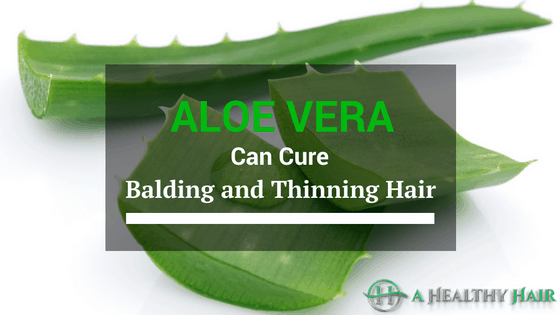 One application that qualifies Aloe Vera as one of the natural cures for baldness revolves around the combination of a shampoo of aloe, coconut milk, and wheat germ oil. As unusual as it might seem, hair loss is equally as scary for women as it is for men. Any woman can suddenly start losing more than the standard amount of hair, thus triggering a panic that you do not want to be close to, it's indeed startling. Research has it that Over 30 million women in America are currently dealing with hair loss. Obviously, this can bring about issues with self-confidence and depression. Women have slightly different circumstances and causes than men when it comes to hair issues. This leads to women needing different vitamins, herbs, minerals and substances to promote healthy hair growth. Below are some possible causes of hair loss in men. 1. Causes of hair loss in women can range from Androgenetic Alopecia (female pattern hair loss) to scalp conditions, illness and stress. The aggravated impact of different diseases eventually leads to the failing of the body. Far beyond thyroid sickness, rheumatoid arthritis and lupus are three ailments responsible for causing Alopecia, the condition that in the end brings about the degeneration of follicles. 2. Another common issue for women is called Traction Alopecia It occurs when hair is pulled or tugged at too much by styling, when hair is blown dried on too hot of a setting, or when you treat your hair with lots of chemicals. This type of hair loss can be prevented by basically being gentler on your hair. 3. 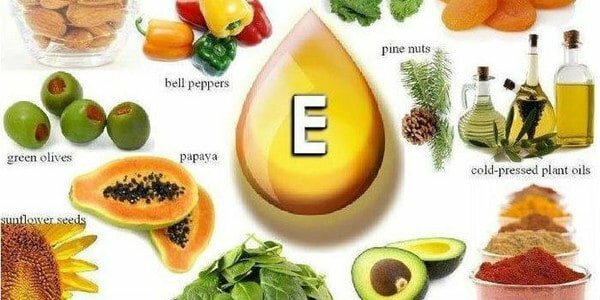 Nutritional Deficiencies: If you're radically deficient in b-vitamins, iron, protein, zinc, iron, and magnesium, the likelihood that your hair will thin out rises significantly. In general, this can lead to dysfunction of the follicles, decreased sebum production, thinness, slow-growth and eventually balding. 4. Hormonal imbalance: This occurs when your body undergoes any kind of trauma or radical change. For women, the leading causes are pregnancy and menopause. 5. Birth control pills that have a high androgen index can also cause hair loss. The good news is that these can all be treated naturally if you decide to go down that route. You can also try other treatments that are on the market today, but these tend to be expensive and sometimes come with a lot of side effects. Hair loss remedies are often natural and are used to both stop and prevent it. Hair thinning is a natural phenomenon as we grow old, however, if we start using the right treatments before that happens then there is a good chance that we will keep our hair thick without any unnecessary loss of hair. There are also some fast acting treatments such as a hair transplant, but these are usually very expensive, can be painful and can bring some unwanted side effects. If these pricey quick fixes tempt you then, you should thoroughly research them before committing. If you're like me though you will instead prefer the more natural treatments which may take a little longer time but works in harmony with your body and so bring no side effects. There are numerous medications for this. The most crucial thing you can do is to begin taking a multi-vitamin consistently. In case you're not doing this then you are passing up a great opportunity for an essential part of well-being. Also, you should be eating lots of protein so that your hair can maintain strength. If you don't watch what you eat, then you are fighting an uphill battle. Drink excessive of water for hydrating your body, which further treats balding. You should drink at least 10-12 glasses of water daily for stimulating hair growth. Cures for hair loss can entail essential oils, herbs, and teas. The whole objective of using the right ingredients as a treatment is to prevent the hair follicles from drying out and eventually withering up. When this happens, new hair growth cannot occur. Be that as it may, by using treatments to stimulate as part of a request to build blood flow to the scalp, the follicles will remain fresh, and new hair will keep on growing. You can also boost your hairs effectiveness with an FDA approved ingredient called minoxidil, which helps fight dihydrotestosterone and allows your hair to re-grow. When you combine minoxidil with the right herbs, minerals, and vitamins, you can achieve very impressive results. You now know the various causes of hair loss in women and men as well as over one in several instances of balding thinning in women. 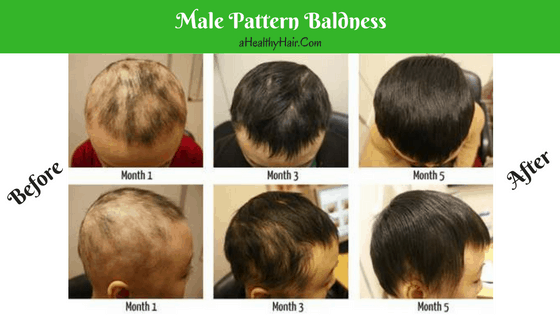 You are aware that the conversion of testosterone to dihydrotestosterone and the ensuing accumulation of this androgen hormone inside the hair follicle causes follicles to shrink, and over time wither up so drastically that they can no longer produce new hair growth. You also know there are a handful of proven natural cures for baldness specially made for both men and women both in blocking harmful hormones and resuscitating the all important dead hair follicles. These treatments can be used both as a preventative tool, starting before hair loss gets severe, or after loss of hair has become apparent. Whatever the level of balding or thinning you are experiencing these products could be just what is needed to overcome this latest life challenge. One thing you should know is that hair loss, thinning and balding is treatable, therefore, if you're already experiencing it, don't be startled because, there are solutions to your problem.